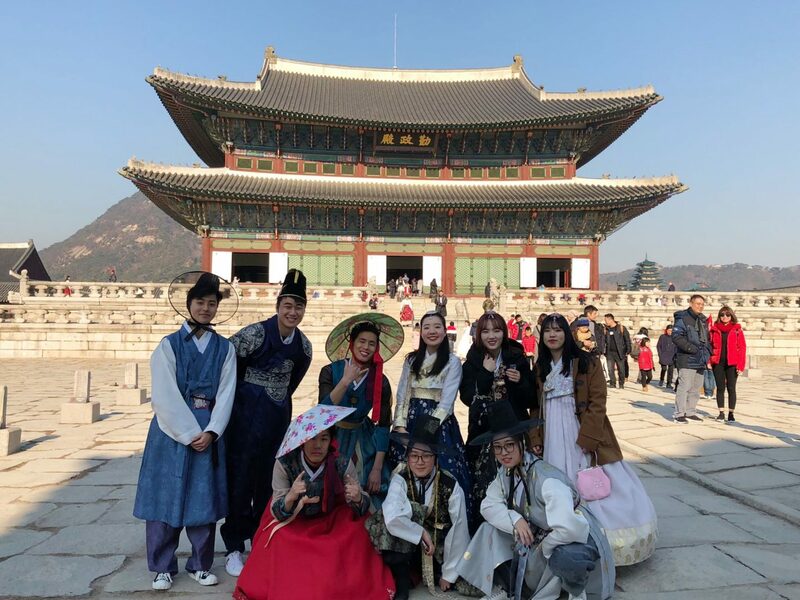 Hello and HAPPY 2019 !!! I hope you guys had an amazing Christmas and New Year’s break. 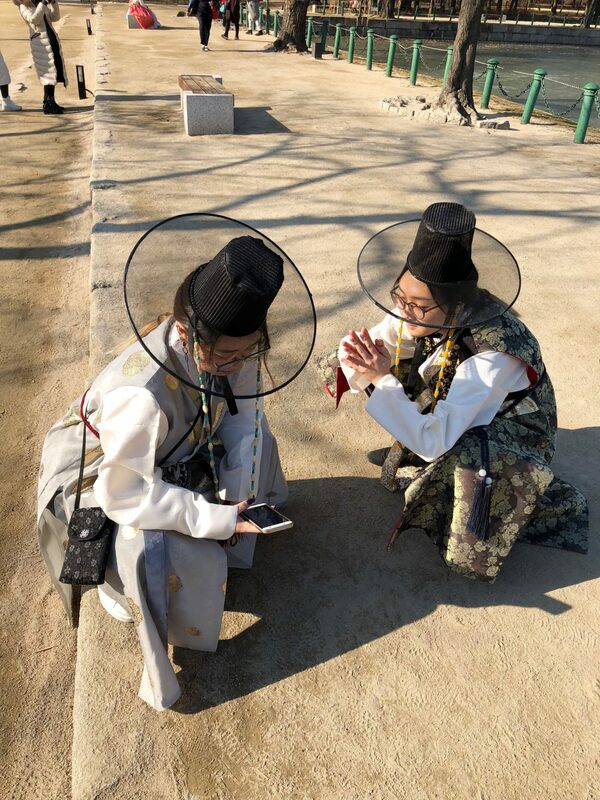 In the spirit of fresh starts and new year resolutions, you may have noticed that I’ve given the blog a little makeover. 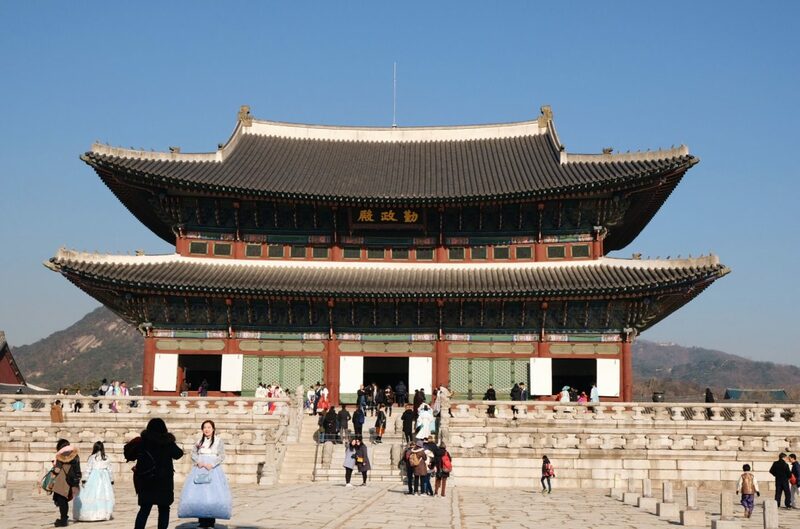 I want to start the year with one of my favourite experiences in Korea – Gyeongbukgung Palace! 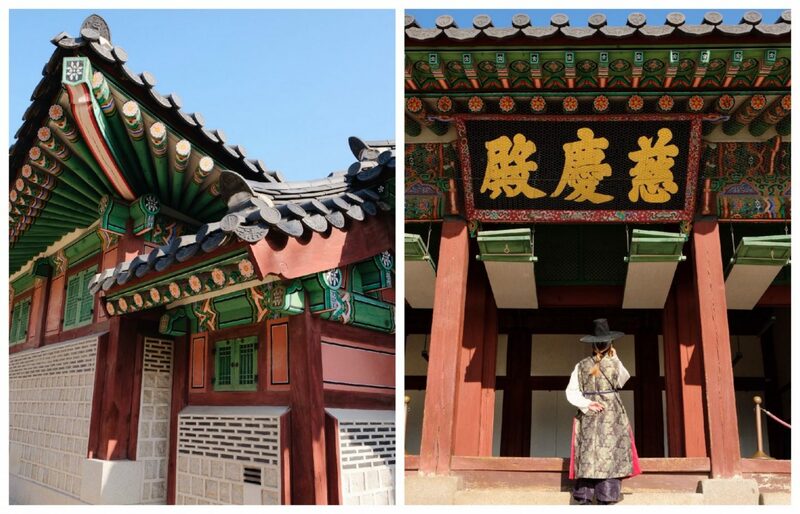 Gyeongbukgung palace is a famous historical site built in 1395 during the Joseon Dynasty. 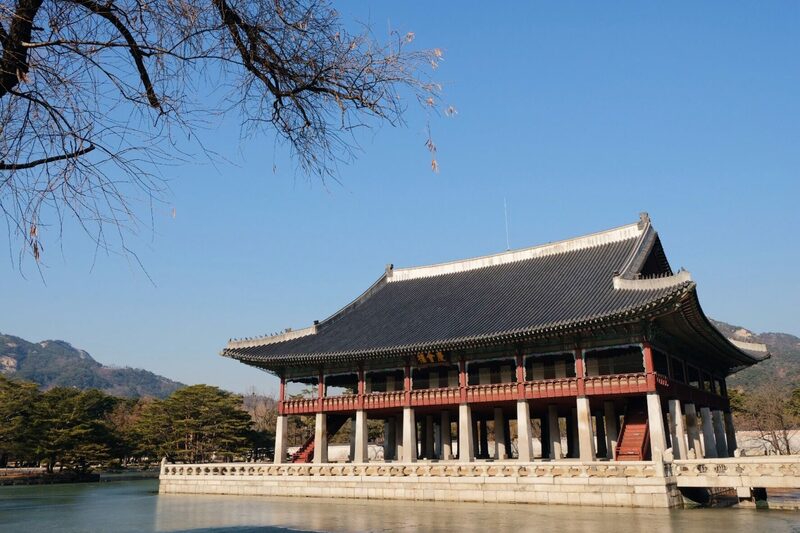 It’s the largest of the Five Grand Palaces in Seoul and the name Gyeongbuk means “greatly blessed by heaven.” The palace grounds are massive and we covered about two thirds to see the major halls and pavillions. 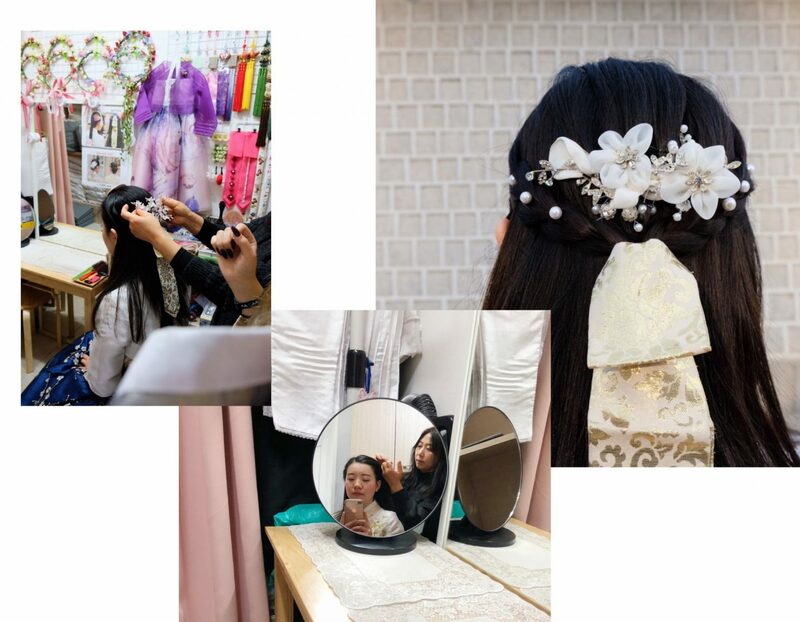 We stopped by Seochonnadri Hanbok Rental to pick out our hanboks and accessories. 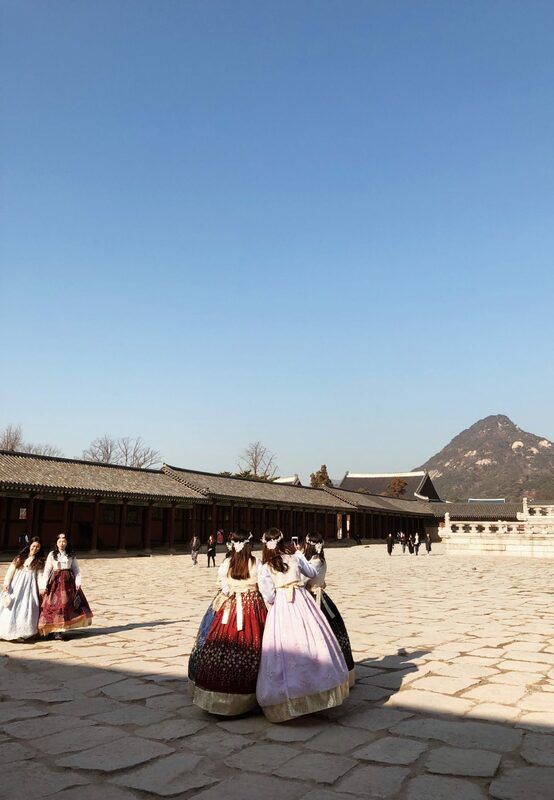 It’s 15,000 won per person including hair braids, hair accessories, a matching handbag and locker service. 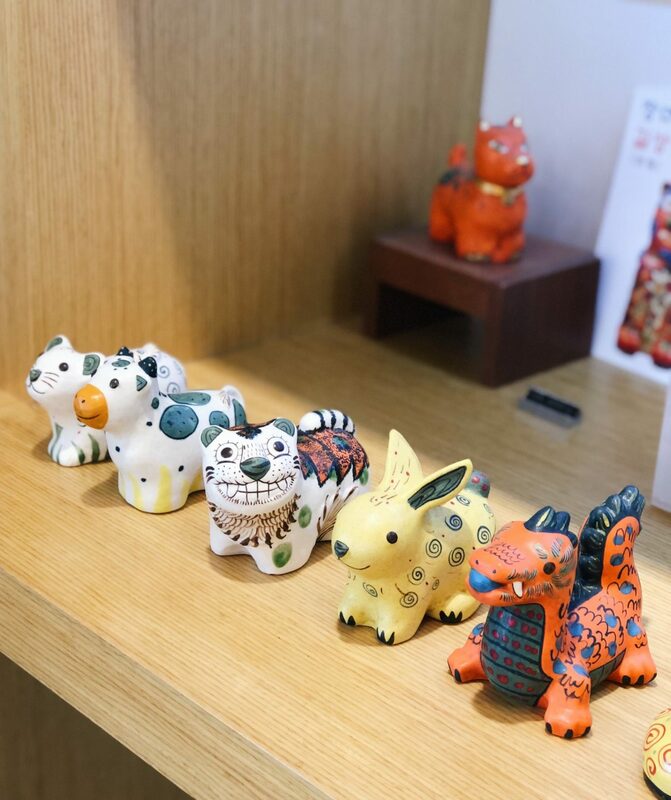 That in itself was super fun and there’s a plethora of styles and colours to choose from. 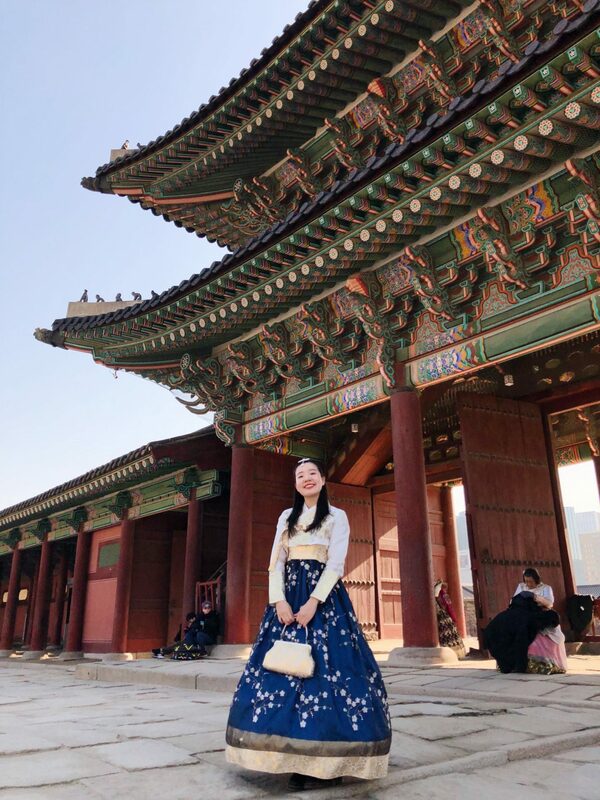 I was surprised how easy it was to change into and since it was winter, I was able to wear my jeans under the skirt (chima). 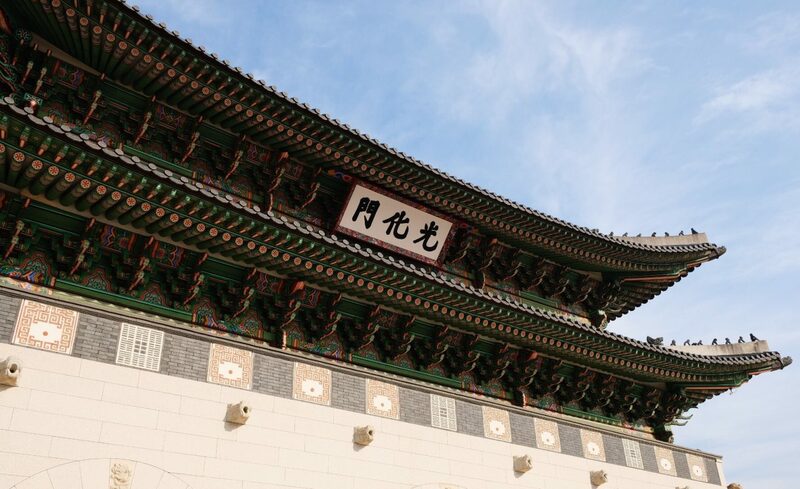 Gwanghwamun Gate, the main gate guarding the palace. 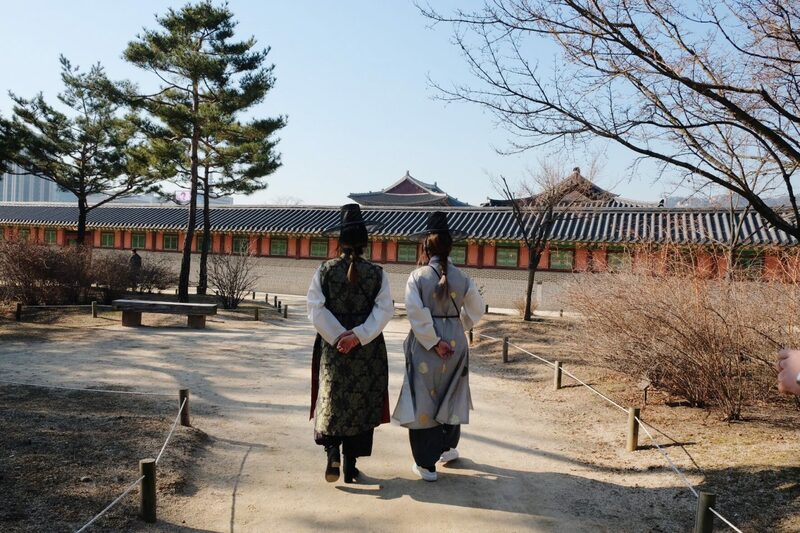 You’ll find lines of tourists queueing up to take photos with the palace guards. 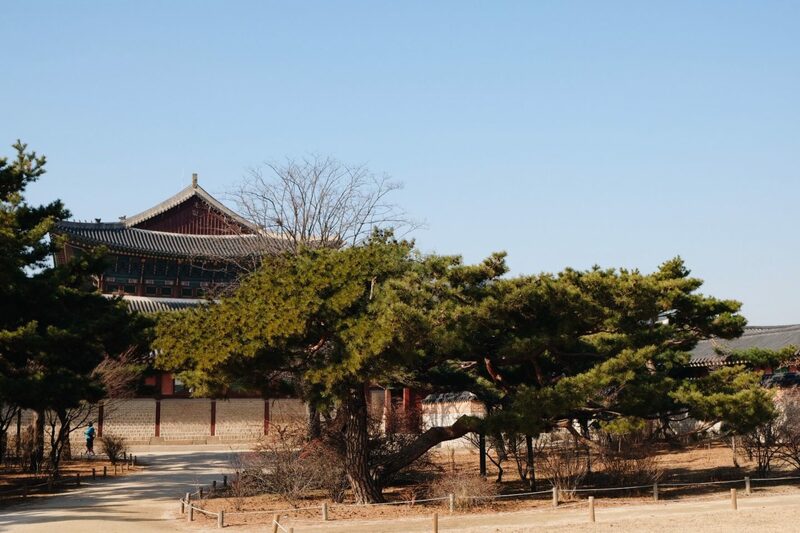 Geunjeongjeon Hall, a major venue for royal and state affairs like coronation ceremonies, cabinet meetings and foreign affairs. 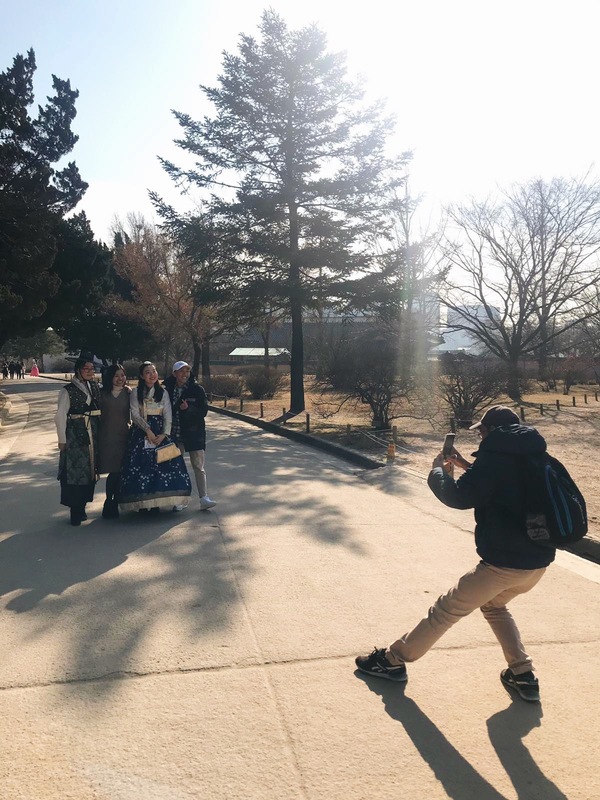 Cameraman werkin’ it for da best angles :’) A lot of other tourists were also wearing the hanboks but we had quite a few asking to take photos with/of us #papparazipls. 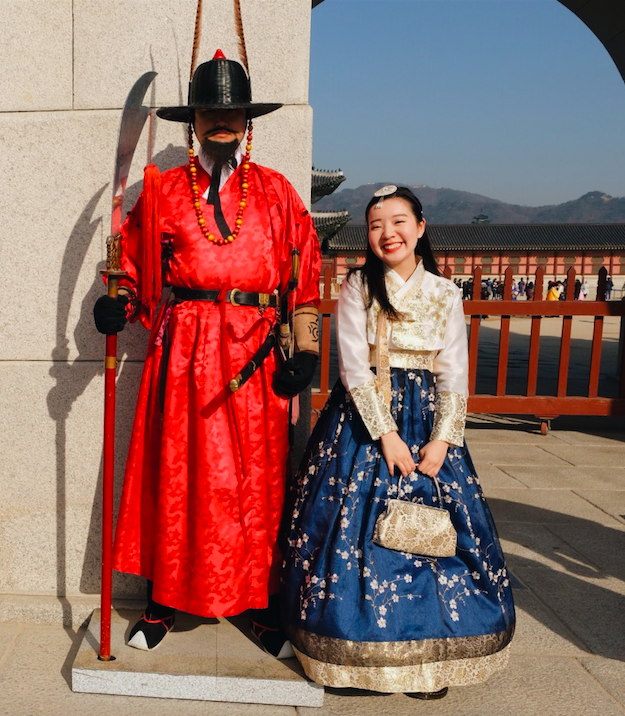 It was awesome, and we always said yes….although cherry on top goes to a korean guy who followed us around (twice) to film us wandering the palace grounds. 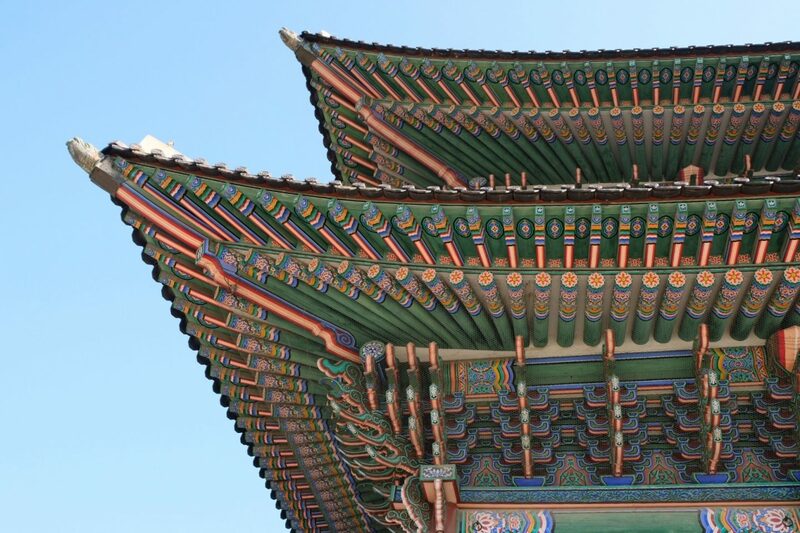 Gyeonghoeru Pavilion. The water was frozen and everything was so still and peaceful. 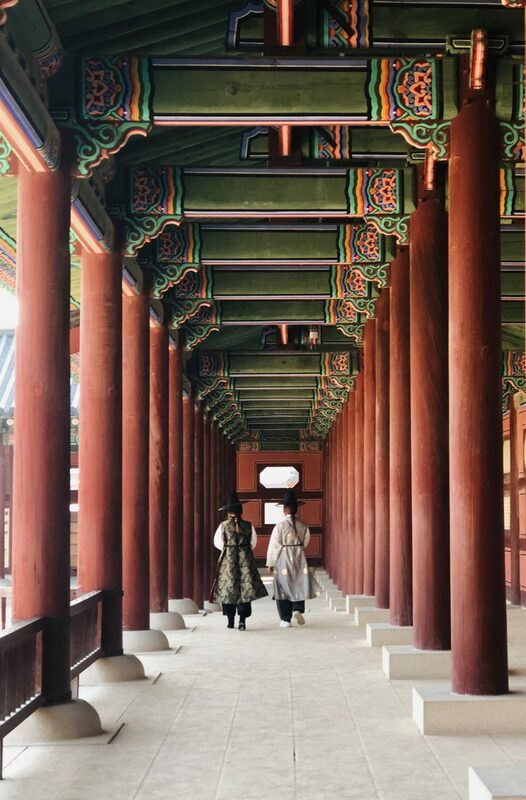 Definitely my favourite place at Gyeongbokgung Palace. Really wanted a photo with these guys cuz they. are. awesome! 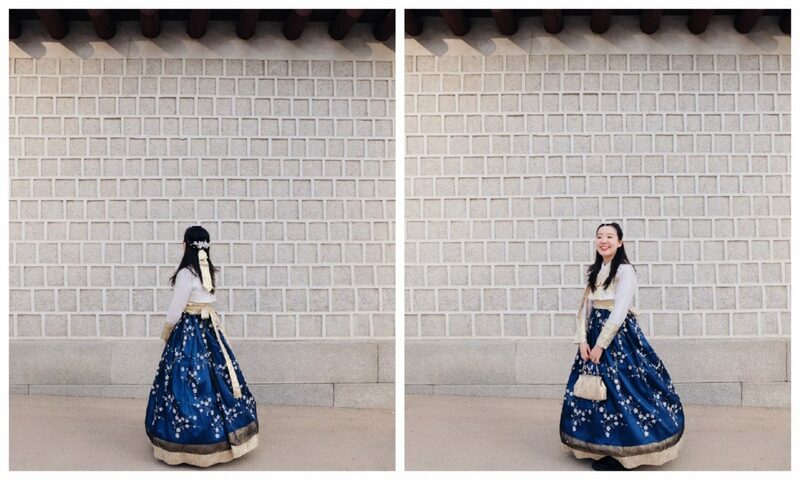 You look so pretty in that hanbok!! 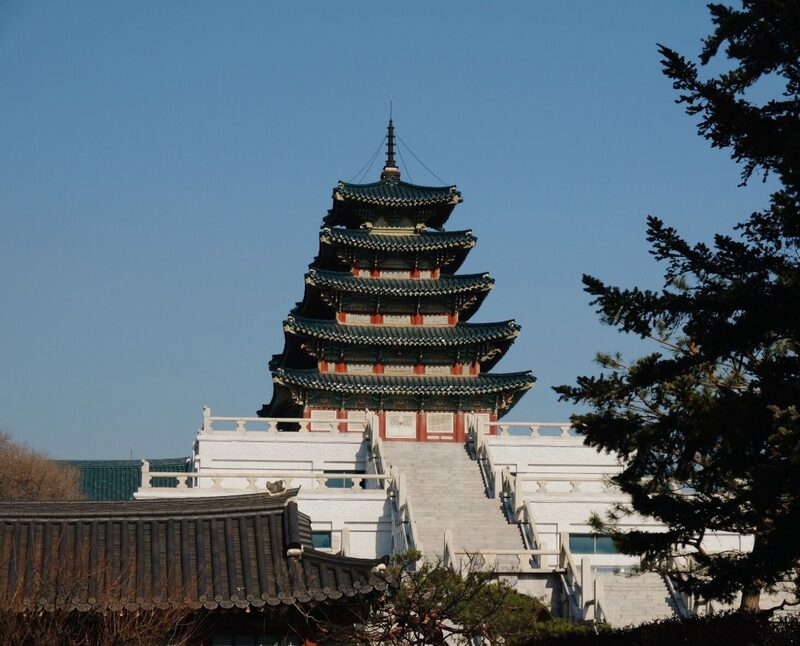 This Gyeongbokgung palace has such pretty scenery as well! 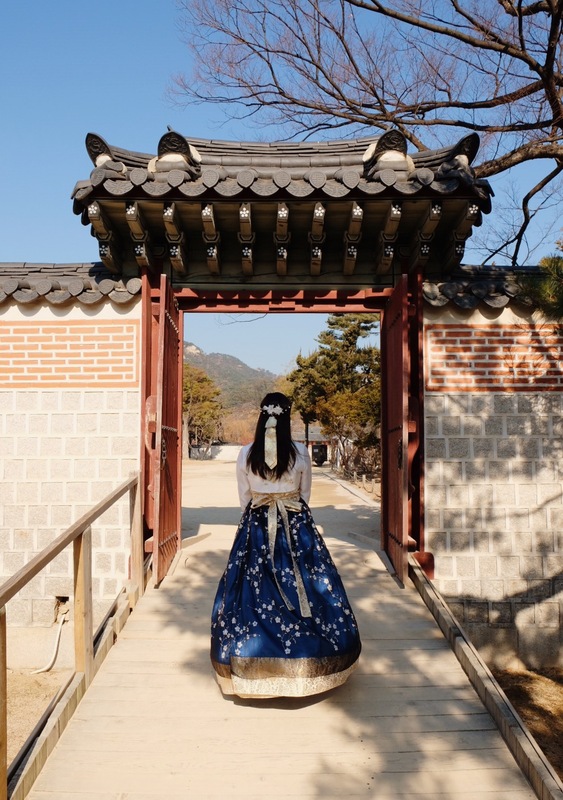 This place looks lovely! 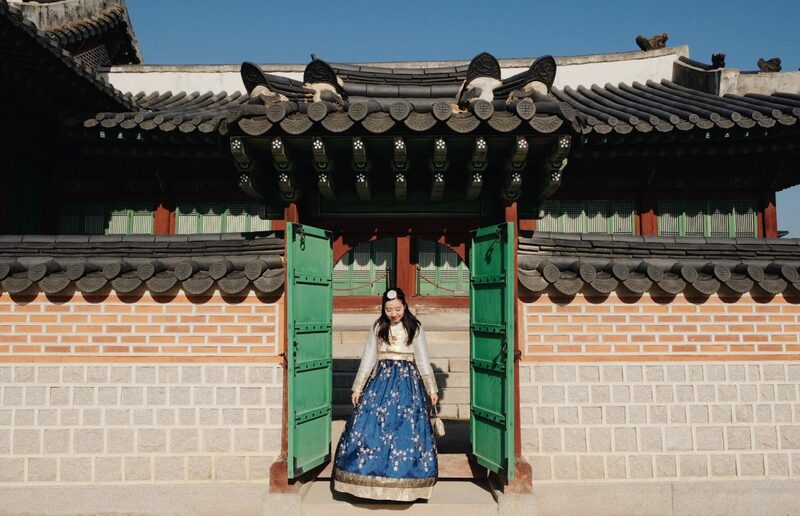 That hanbok is beautiful as well.